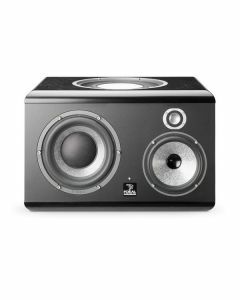 This monitoring speaker establishes itself as a reference thanks to the precision of the stereo image, its capacity to reproduce each of the micro details of the audio signal, as well as unconditional respect of the original dynamics. One of the major SM9 innovations lies in the fact of offering 2 monitoring speakers in only one and unique cabinet. The SM9 is thus composed of 2 monitors: a 3 way monitor and a 2 way monitor. Stand By / On switch.